He was right. At least at that time, studies showed that people, when presented with multiple publishers, subscribed to the newspaper whose ads reflected their local shopping patterns. For some of those people, nothing we ever wrote would be as important as a dollar-off coupon for ground beef. The issue here is the bleak future of newspapers as they continue to be drained of the lifeblood that is print advertising and the question it raises, that is, where are those ads going? The answer, you may have guessed, is at your fingertips – on your phone and personal devices. As reported in AdAge, the latest local ad revenue forecast from BIA/Kelsey indicates that revenue from local-focused online ads will exceed that of traditional ads aimed at local audiences by 2018. 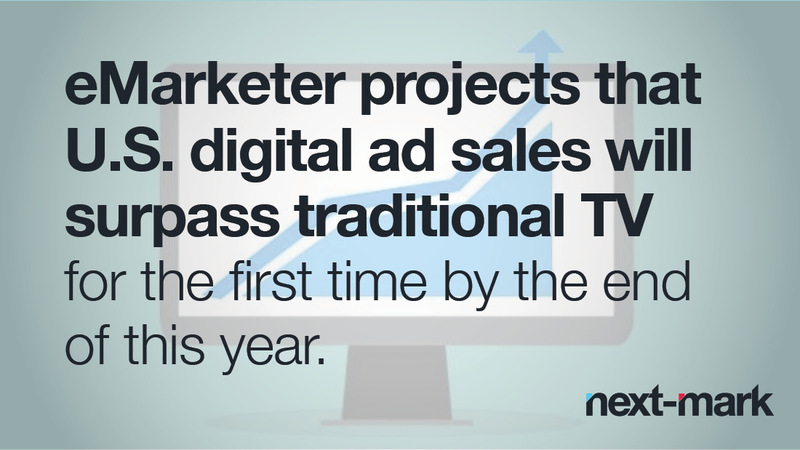 This “digital transformation,” statistics show, is taking place across the nation and “risks sidelining traditional print ads.” It also isn’t helping the television industry, as a new report by eMarketer projects that U.S. digital ad sales will surpass traditional TV for the first time by the end of this year. The bright side for advertisers is that the emergence of digital outreach widens, rather than narrows their opportunities, offering new ways to win new customers. Still, danger lurks, as every type of advertising – from sandwich boards to emails to the most sophisticated digital ad – requires a different type of knowledge and expertise to create and execute correctly, and most all campaigns require a mix of media. Further, when initiating digital outreach, which can far exceed any publication’s circulation or TV’s program viewership, advertisers pretty much have to get it right the first time. In other words, it’s not for amateurs. If you’re interested in initiating or transforming your own advertising, let’s start a conversation. We’d be happy to share our insights and help you share your word. Revelation: We have an inordinate obsession with the letter C.